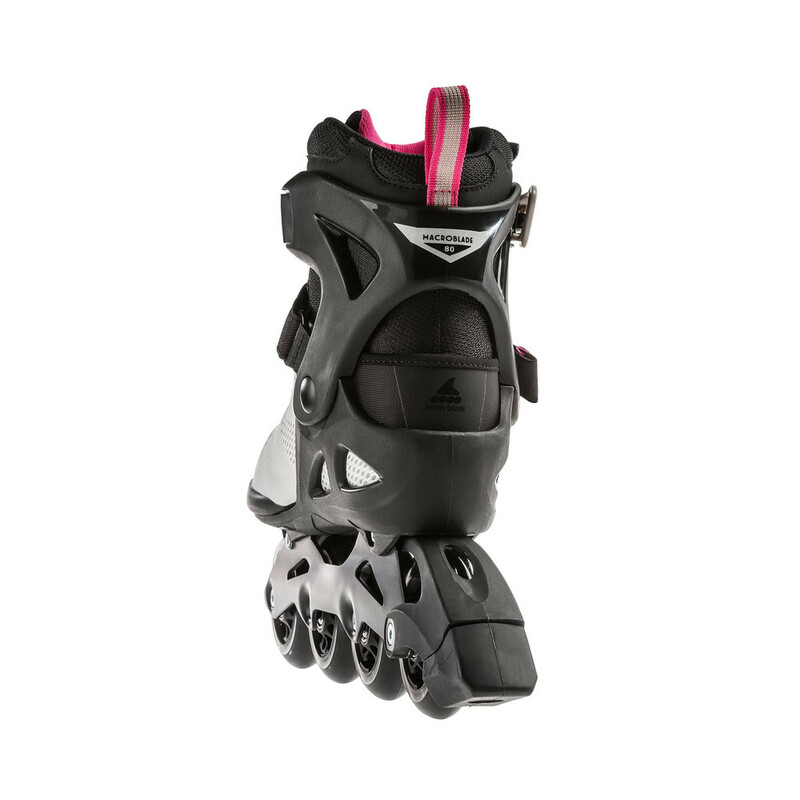 De Rollerblade Macroblade 80 voor Dames is een ideale skate voor beginners die op zoek zijn naar een verbeterde instapskate. De shoen is ontworpen om grote zijdelingse steun te bieden, terwijl de voering is voorzien van speciaal gaas voor een extra ademend vermogen en sok-achtig comfort en heeft alle demping die men nodig heeft om het katen veel aangenamer te maken. Het aluminium frame voegt meer krachtoverdracht en duurzaamheid toe. Het sluitsysteem is gemakkelijk te gebruiken en sluit goed om de voet voor maximale pasvorm en comfort. De wiel/dragende opstelling is ideaal voor skaters om de juiste hoeveelheid snelheid en controle te hebben zonder te snel te gaan. Geweldige skate met uitzonderlijke waar voor je geld. 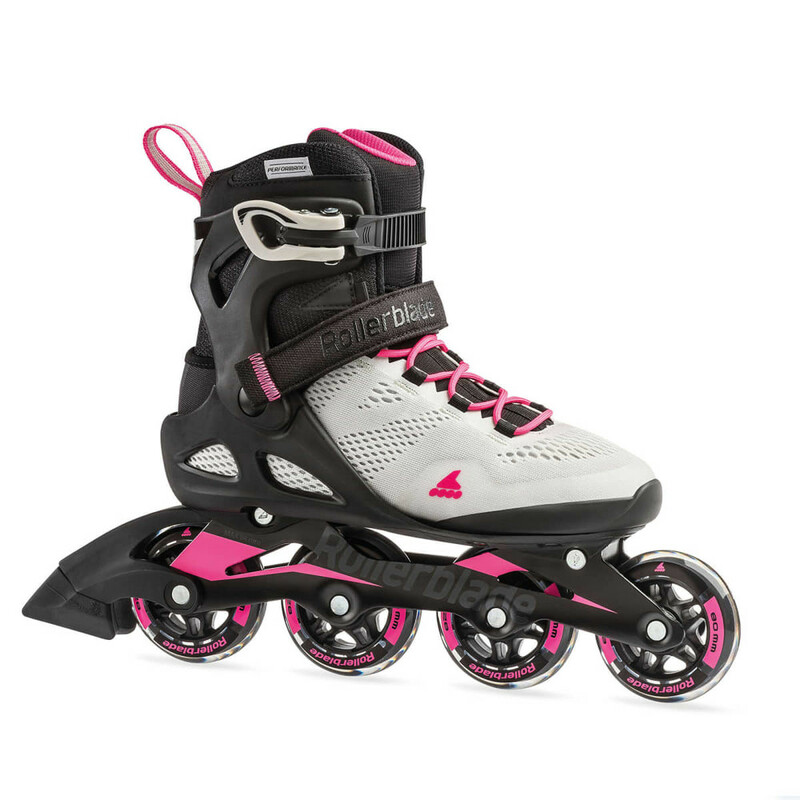 Macroblade 80 is ideal for beginners looking to get an enhanced entry level skate. The shell is designed to provide great lateral support while the liner utilizes engineered mesh for a added breathability and sock like comfort and has all the cushioning one could need to make learning how to skate much more pleasant. The aluminum frame adds more power transfer and durability. 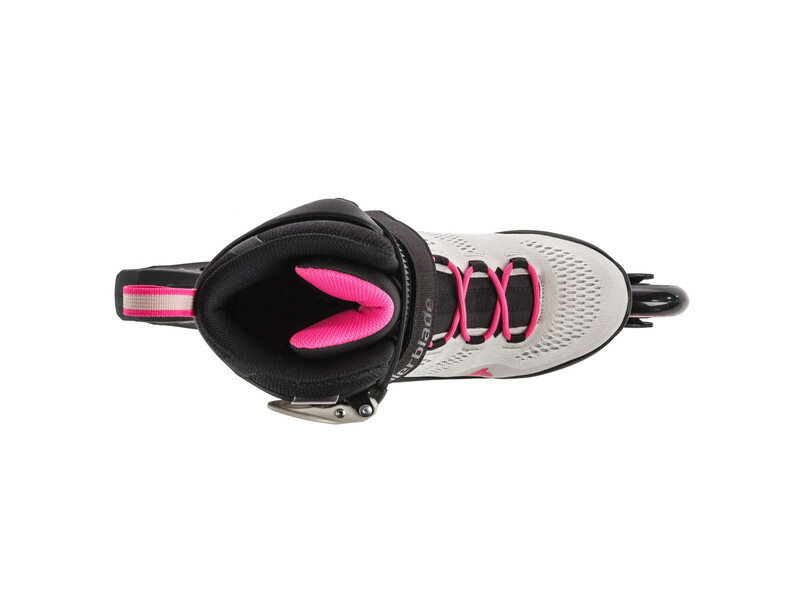 The closure system is easy to use and secures the foot to maximize fit and comfort. The wheel/bearing set up is ideal for skaters to have the right amount of speed and control without going too fast. Great skate with exceptional value. 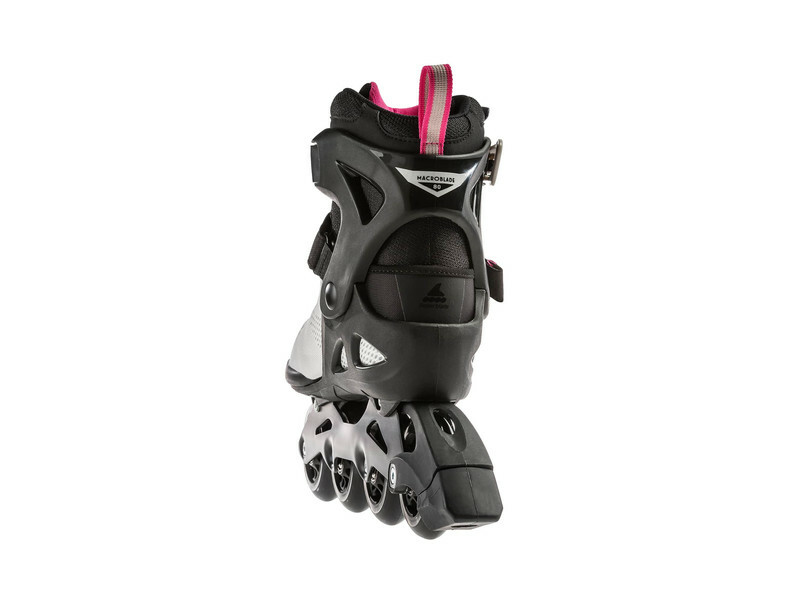 - IMPROVE YOUR FITNESS with the Mens Macroblade 80 which is great for casual inline skating and training. Great overall support and comfort in a entry level "upgrade" skate. - FLEX AND LATERAL SUPPORT is ideal in the Macroblade structure. The higher cuff provides extra stability to help with balance & hold the foot securely during the stride. 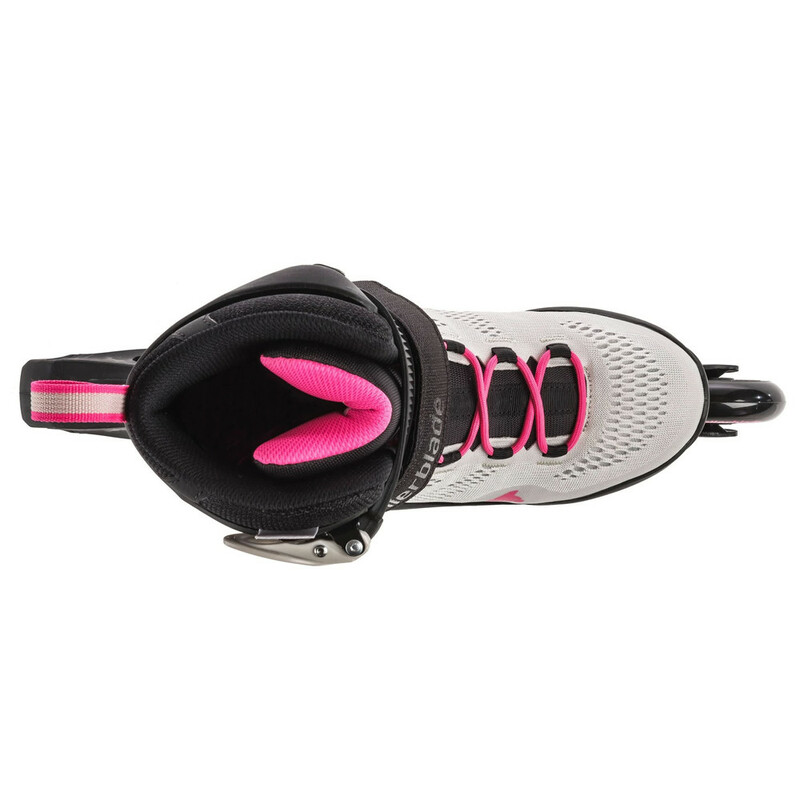 - COMFORTABLE PERFORMANCE LINER Fit is the most comfortable liner in an inline skate with engineered mesh and padding in the tongue and ankle areas. Buckle, power strap and lace closure secure the foot. 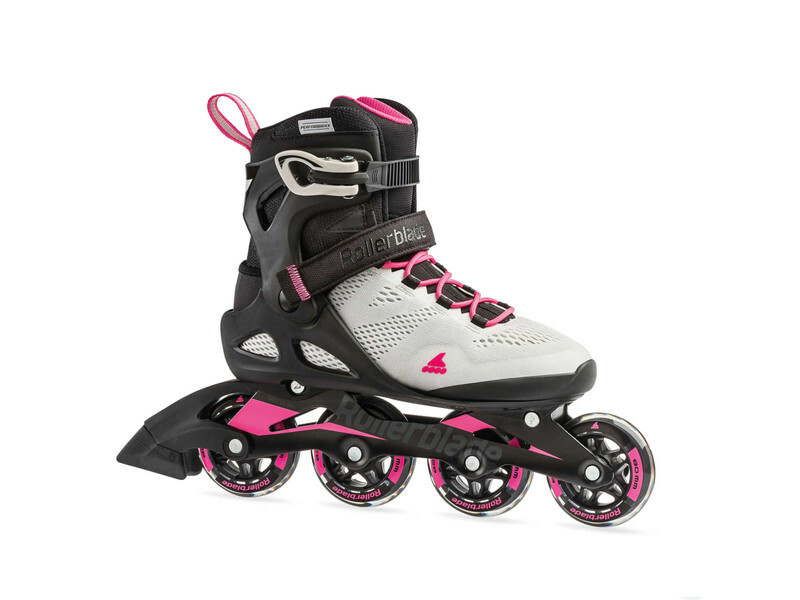 - TWINBLADE ALUMINUM FRAME is durable and helps keep skaters closer to the ground with its low profile design for enhanced balance and stability. Can upgrade to 84mm wheel if extra speed is desired. - ROLLERBLADE PERFORMANCE WHEELS 80mm/82A wheels blend speed and control perfectly. The ideal size for a moderate skate pace. SG5 bearings spin helps to provide the appropriate speed.